Alliance Business Academy is one of the most preferred institutes for management training in India, which was established by Alliance Business School in the year 1996. The institute is known for imparting new skills and techniques that are often required to tackle emerging challenges in the field of business management. Since its launch, the institute is known for equipping quality skills, knowledge and right attitude to the students in order to meet the expectations of today’s corporate world. 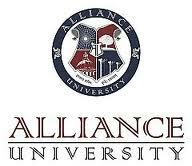 It is affiliated to Alliance University, which runs under the Government of Karnataka. Admission is been done through Common Entrance Test (CET) and interviews. Alliance Business Academy is spread over an area of 105 acres of land in Anekal, Bangalore. The institute has been equipped with modern infrastructure that includes Wi-Fi enabled campus, technological support to facilitate teaching, learning and personality level. Alliance Business Academy offers 100% placement to the students with multiple job offers after the successful completion of courses. Are you Interested in Alliance Business Academy Bangalore.